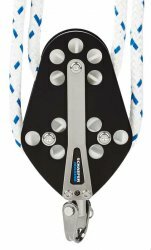 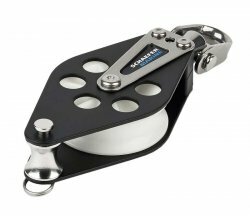 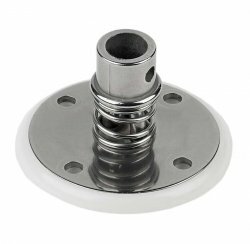 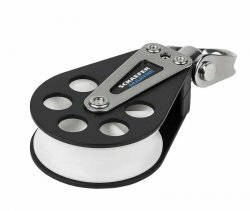 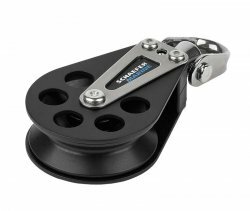 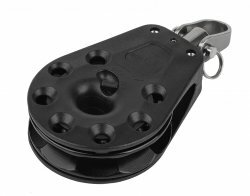 7 Series 2-3/8(60mm) Sheave : Schaefer Marine, Inc.
7 Series blocks offer medium sized cruising and racing yachts Delrin(tm) and Delrin(tm) Ball Bearing sheave blocks with a stunning combination of strength and performance. 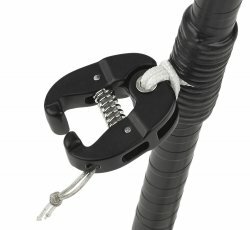 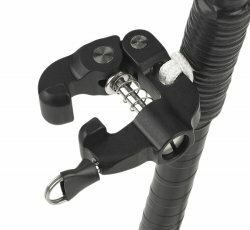 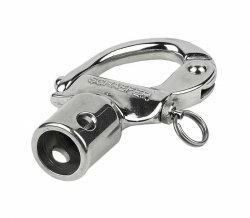 Available with highly polished Stainless Steel or Black Hardcoat anodized Aluminum cheeks that are reinforced with large Stainless Steel V-Straps and head posts. 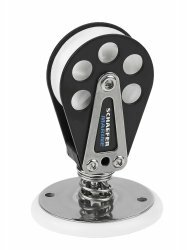 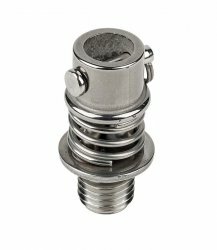 All of our 7 series blocks work with convenient Universal adapters and contain our three-way head that allows for free swiveling or front/side set positions. 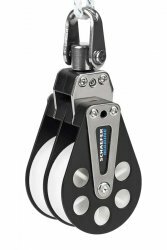 Choose from our 7 series with Delrin(tm) sheave with plain bearing (704 series), SS cheeks with Delrin(tm) plain bearing sheaves (705 series), or Ball bearing sheaves (706 series).